Meta Knight isn’t the only news that we’re being treated to this morning, with Nintendo revealing that they will release a Super Smash Bros. 3DS XL bundle across Europe at launch. 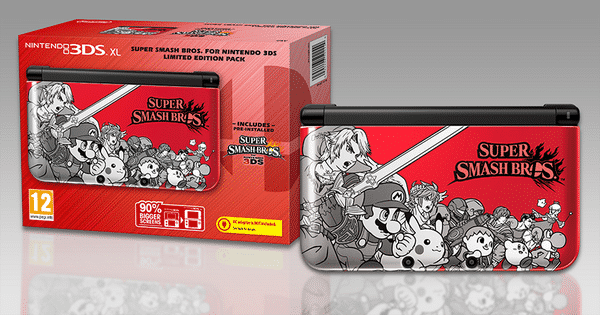 The Super Smash Bros. for Nintendo 3DS Limited Edition Pack, to give it its full name, includes a red Nintendo 3DS XL with a Super Smash Bros. motif emblazoned on the front that echoes the game’s box art. This will come with Super Smash Bros. for Nintendo 3DS pre-installed, although be aware that no AC adapter is included. The pack is currently priced at £209.99 through the Official Nintendo UK Store.